The Leading Internships for New Knowledge (LINK) program is a part of the Animas High School curriculum in Durango, Colorado. This helps connect the learning we have been doing to the real world. LINK allows for the students to go beyond the classroom walls in order to find what they want to do personally, in college and career goals. Students find internships either locally or further afield that allow them to dive deeply into their individual passions, interests and potential career paths. They are then paired with LINK Mentors who generously share their time, energy and expertise with the students. While on their internships, AHS juniors make meaningful contributions to their host businesses and organizations while also completing individual LINK Projects. StoneAge, Inc. is one of the leading manufactures in high pressure water blasting tools and automated equipment. These tools can clean a wide variety of things such as heat exchanges, pipes, surfaces, tanks/vessels, boilers, concrete and swivels. They do everything from designing parts/equipment, to machining them in shop, completing their own quality control, assembling the parts and finally shipping. All of this can be done here in the beautiful town of Durango, CO. Prior to my LINK I knew I wanted go to StoneAge for my internship because I had heard great things from previous interns. When we had our meetings with Janae, prior to confirming our internships, I told her I wanted to complete my internship at StoneAge. She said great, but look into other places as well. After looking into other companies I only found one other that sounded interesting to me and that was Impyrium. I emailed both StoneAge and Impyrium to express my interest in interning with them. within a couple of days I got an email back from StoneAge and got an interview set up. I never got an email back from Impyrium but wasn't disappointed since StoneAge was my favorite. 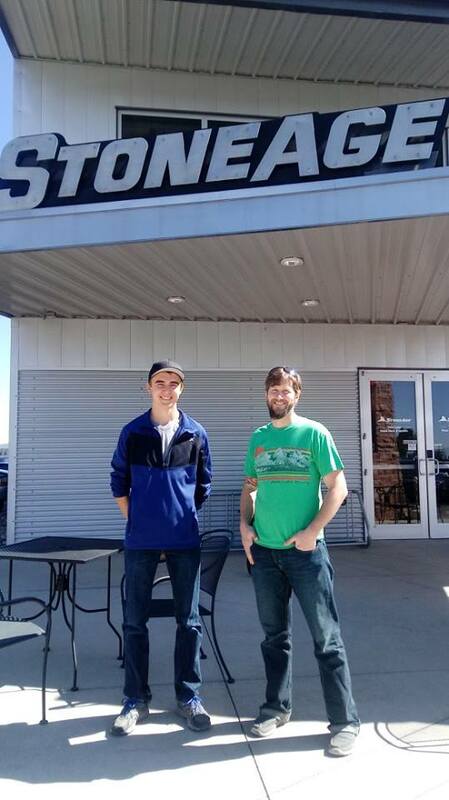 I got my internship confirmed with StoneAge and decided to go with them since they were my top choice. I was really happy since I didn't have to go through the process of applying to a lot of companies before I got my internship set up. Coming into my LINK internship I wasn’t sure what I could bring to StoneAge. I haven’t had some of the higher end education that engineers have. However, one thing I feel that helped me prepare for this would be my science fair and having previous experience in Auto CAD software. My science fair helped me because I knew the process of engineering since all of my science fair projects have been engineering, from the designing of a part, to manufacturing, then checking the part for errors, to assembling and finally testing and refining. My 3D printer helped me because I had to learn CAD software to make parts that I needed, and this gave me some experience with the program. ​ The most important skill I developed during my LINK would be flexibility with my schedule. I was gone to L.A. for a week out of our three to compete in the international science and engineering fair. This was good because it taught me flexibility I worked 8am-5pm most days the first two weeks to get in as many hours as I possibly could. I then was gone the entire third week competing. I talked with my mentor and Janae and decided it would be best for me to go to school on Monday then intern on Tuesday and the first half of Wednesday. This allowed for me to meet all of my internship requirements but still got what I needed to out of TPOL prep. I didn’t encounter many challenges while at StoneAge, the only challenge I really had was finding a project. My original project was going to build a part in Solid Works so they could have it on file. However, this didn’t work out because as of the day that I left the part was still not in. Instead of drawing the part I tested a new hose containment system. They currently have a system they sell called the navigator. 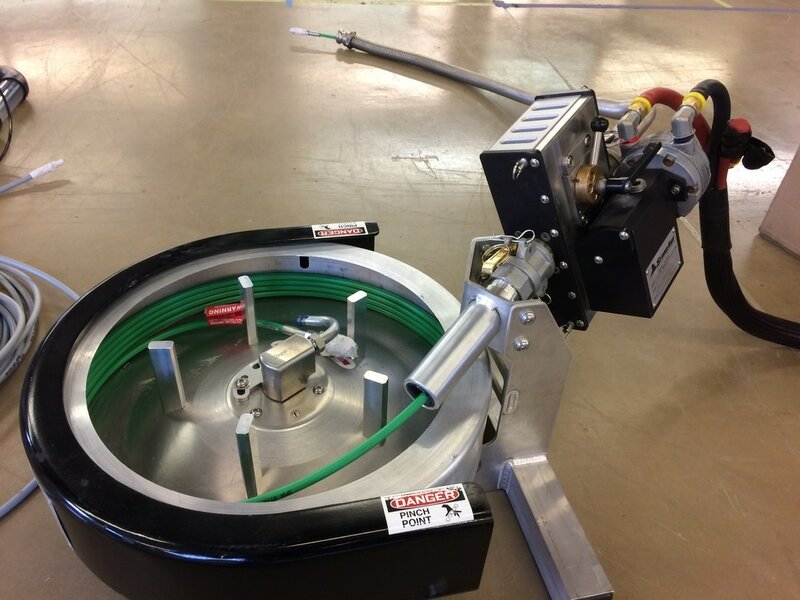 This system has a hose drum that the hose coils into and the ProDrive which moves the hose in or out of the drum. This system works great but some customers already have the ProDrive and want the drum part of the navigator but they currently don’t market it that way. 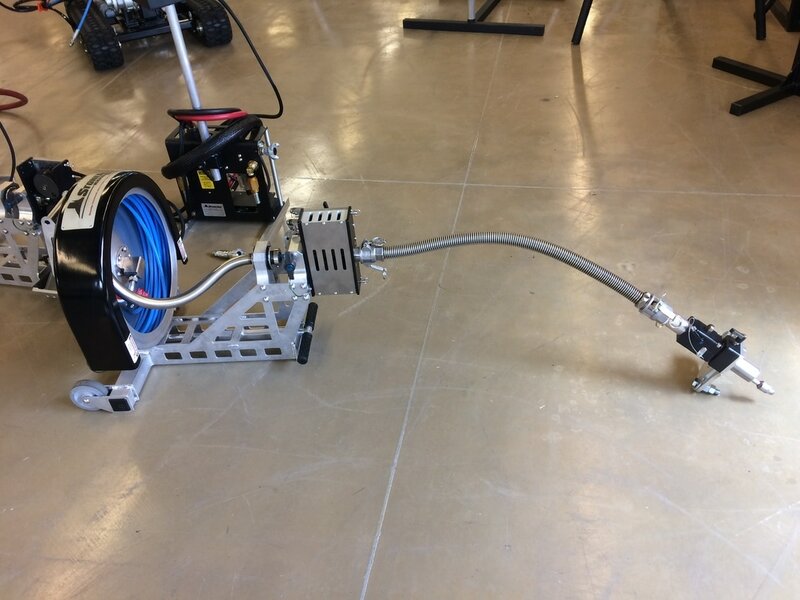 So, one of the engineers Matt designed a drum that lays flat on the ground and the ProDrive can mount directly to it or can be mounted on other attachments. I found this internship to be a really great opportunity because there aren’t many local engineering companies in Durango. This internship can very helpful for those who want to go into engineering and see if that is what they want to do with the rest of their life. After talking with my mentor, he said there have been interns in the past that decided that maybe that isn’t the field they really want to go into. This is really beneficial to figure that out in high school so you don’t go to college for 3 years go into debt, then discover this isn't something you want to do. In order to become better prepared for my future I feel I need to look into other schooling options. Animas High School has been a great school but I feel I am not as prepared in my STEM classes as I need. I am looking into taking classes that will really challenge me and will lean more to the STEM side of education. I will be taking some college classes next year, and most of the rest would be AP. I feel this will better prepare me for my college and my career by giving me a stronger base in STEM.